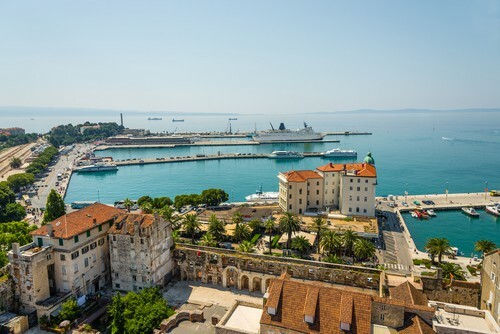 This superb deluxe return cruise from Split is the perfect way to explore the magnificent Dalmatian coast in effortless style and comfort. 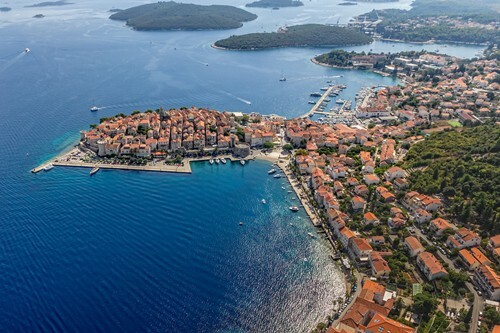 Enjoy a luxurious and spacious en-suite cabins with gourmet on board dining, as you explore the beautiful islands dotted along the coast from Split to Dubrovnik. 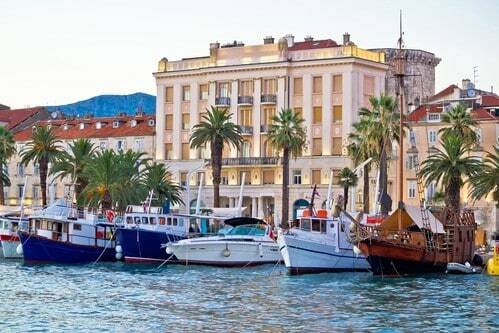 This deluxe cruise includes guided tours of Split, Hvar, Korcula and Dubrovnik including half board, 4 evening meals and a whole host of added extras. Transfer from the airport to Split harbour where the deluxe ship is docked. Check in is from 14.00hrs. You can relax in your deluxe cabin or enjoy a guided tour of the city. 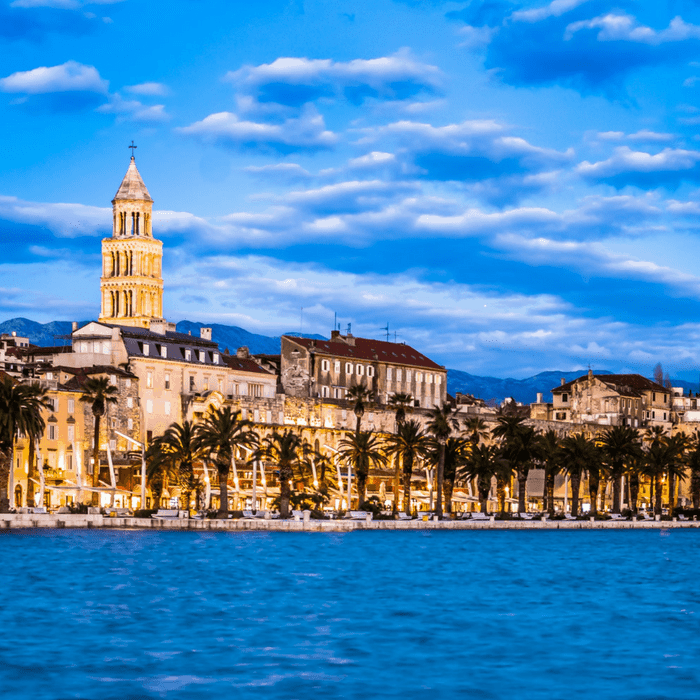 Split is a historic old town that is listed on the UNESCO world heritage list and features a wealth of stunning Roman architecture, including the magnificent Diocletian Palace. Enjoy the welcome evening reception, dinner and cocktail party where you will be introduced to the captain and to your fellow passengers. Enjoy breakfast on route for the island of Korčula, the birthplace of the famous explorer Marco Polo. 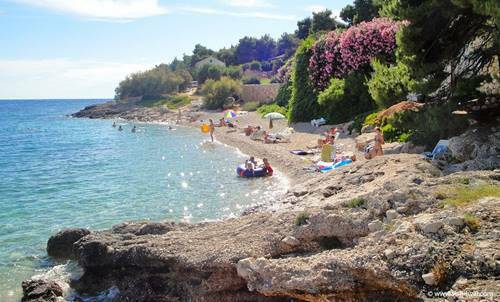 We stop for lunch in one of the stunning secluded bays and arrive in picturesque Korčula by early afternoon. Join the guided walking tour of this enchanting town where you will explore the historical fortified walls and ancient structures and monuments on the island. 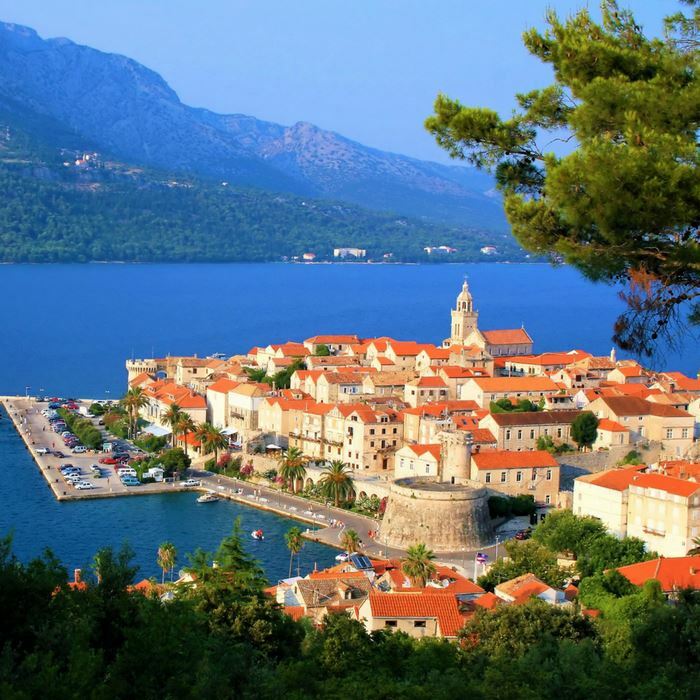 Korčula also has an abundance of good bars, cafes and restaurants and great evening entertainment options. 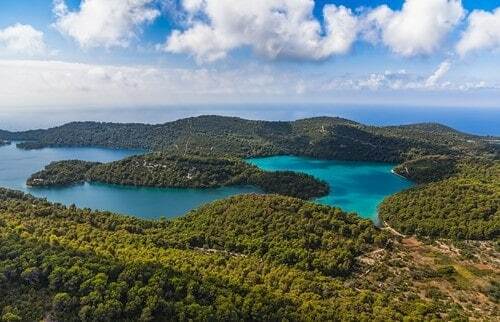 Cruise onto the gorgeous island of Mljet. Join the cruise manager for a stroll to the famous salt lakes, situated in the Mljet National Park. You can also enjoy a boat ride to the St Mary Isle, to visit the ancient Benedictine monastery from the 12th Century. Alternatively, you can rent bicycles, scooters or kayaks to explore the beautiful National Park or island. Lunch is served on board before departure to Dubrovnik. 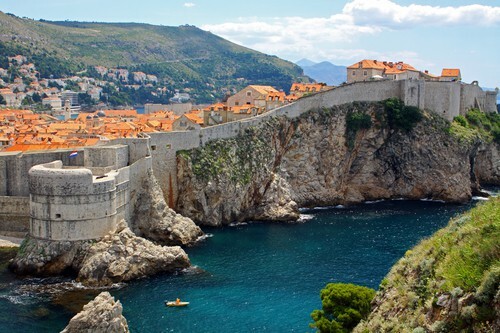 On arrival in Dubrovnik, the captain will take you for an evening cruise along the banks of the old city walls. Buffet dinner is served on deck so that you can enjoy the spectacular views of this magnificent old town. We head to the old town for a guided walking tour. You will have plenty of photo opportunities to take stunning pictures as we take the cable car from the Old Town to the top of Mount Srđ. Scenic views of the Elaphiti Islands can also be enjoyed from this vantage point. 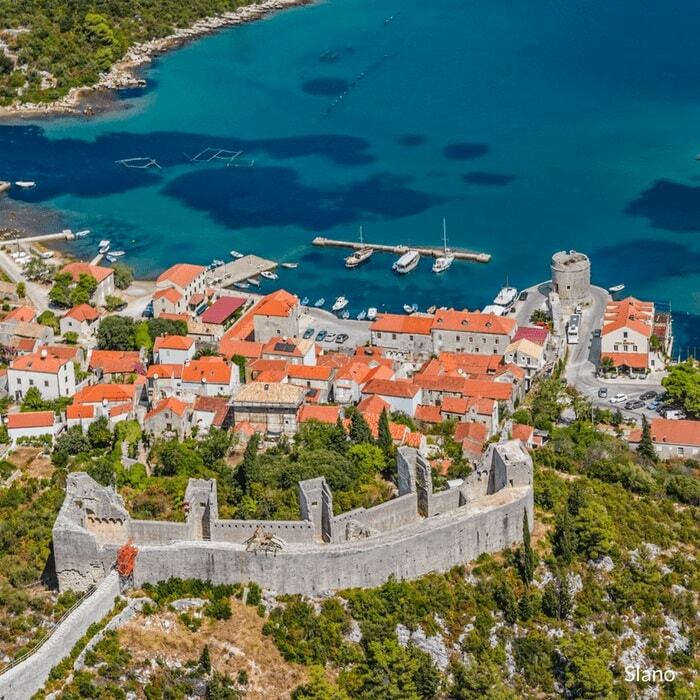 You can stroll along the famous 1,940m long town walls as well as the Stradun promenade. Lounge on the picture-perfect beaches, stroll the pedestrian-only old town admiring the Baroque churches and striking red roof houses before resting in a charming cafe. Head towards the Pelješac peninsula. Before lunch there is a short stop at one of the tranquil Elaphiti Islands. We take a tour of the scenic rural areas of the island. You can visit to a local farm where you can participate in a typical village party and sample Croatian delicacies. Dinner is all-inclusive with delicious local dishes made from fresh farm produce. We cruise towards the jet-set island of Hvar after a refreshing swim stop at the delightful Pakleni Islands. 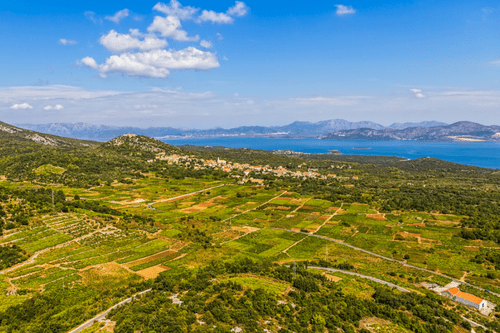 On arrival in Hvar, we take an engaging guided tour of the charming town which is on the longest island in the Adriatic Sea and is renowned for its breathtaking beauty. Historical features of interest include the Renaissance cathedral with its original tower and the oldest community theatre in Europe. Take a hike up to the town fort for the spectacular scenic views of the harbour and neighbouring islands. At night, why not sample the chic restaurants and night-scene in this lively spot. 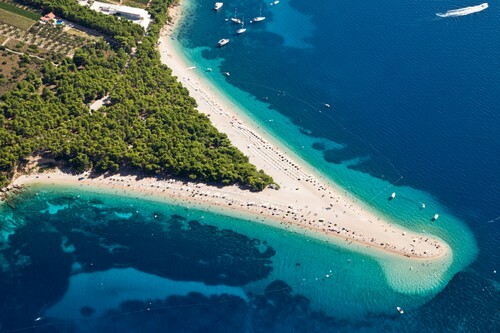 The final stop is the Island of Brač and the charming picturesque town of Bol. 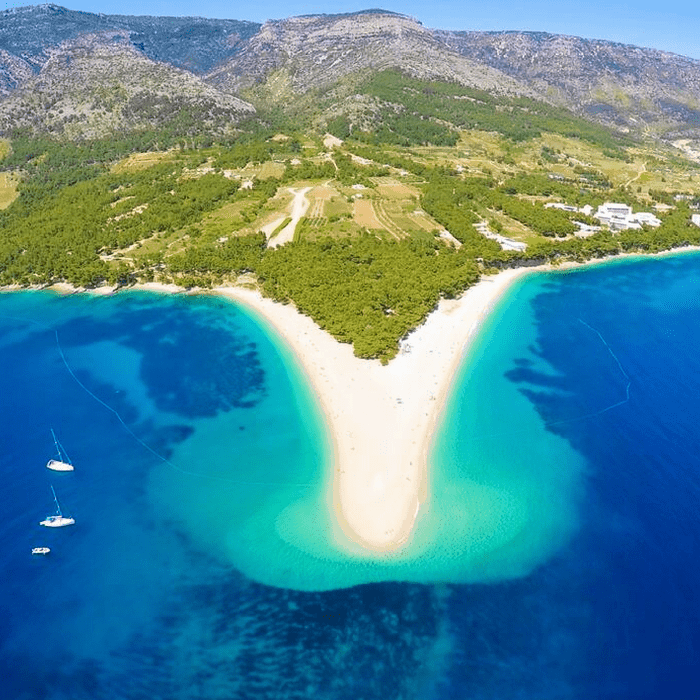 Bol is home to one of the most famous beaches in Dalmatia – the Zlatni Rat (or Golden Cape) and is a typical fishermen’s town. In the afternoon you can enjoy wine tasting in the oldest Dalmatia winery. The Captain’s farewell dinner, with entertainment, on board is the perfect way to celebrate the last night of your island-hopping cruise holiday. Early morning departure for Split. On arrival it is time to say farewell to the crew and to all fellow passengers. Check out is by 09:00 hrs with private transfer to Split airport. Price includes return flights from airports across the UK. For non-UK clients the price will be quoted excluding flights.